QuizUp is expanding beyond its realm of competitive trivia gaming with a new program aimed at helping companies revamp corporate learning, reports TechCrunch. 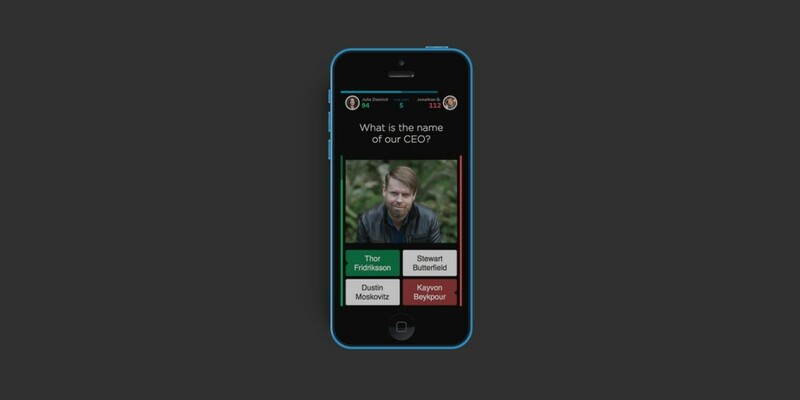 QuizUp at Work lets employees face off against each other in fast-paced challenges based on their companies’ corporate programs, products and policies. He believes that QuizUp at Work gives companies a chance to introduce their corporate culture to new employees, while also helping to create connections between them. Employers get to see stats that describe how employees are engaging with the game as well as which questions and topics they’re having a hard time with. It’s an interesting direction for the company, which recently revamped its original game with a new design and social features, and now counts over 70 million players. You can sign up at the new QuizUp at Work site for a demo.